Liverpool is a great footballing club with a rich history and a broad and passionate fanbase. One would hardly disagree that the Merseyside outfit used to be the biggest club in England before the arrival of Sir Alex Ferguson, who revolutionised Man Utd drastically enough to overtake their rivals. However, there is a reason that the main emphasis is being given to Liverpool’s history, and that’s because the tide of time has created contrasting situations from back then. The English giants went from being elites of Europe to not lifting a single league title in over two decades. And the fact that the Reds have not experienced the joy of lifting any kind of silverware for over 6 years only adds insult to the injury. But what led to the decline of such a powerful club despite producing and importing top-quality players and playing intricate football almost consistently? Well, one reason even Liverpool fans would agree with is poor management, and that’s exactly what we are about to dissect and analyse here. Note: The below mentioned analysis and opinions will be subjective and will be supported by statistic in necessary cases. Jurgen Klopp and Brendan Rodgers have been two of the most popular gaffers to take over the Anfield helm in recent history. The pair definitely are two polar opposites when it comes to footballing philosophies and nurturing of players. Klopp used to be regarded as one of the best tactical managers in Europe around 4 years ago, when he led his Borussia Dortmund side to the Champions League final in a very emphatic fashion. Moreover, the German boss had also managed to bag 2 Bundesliga and DFB Supercups as well as a DFB Pokal during his 7 years as the Dortmund boss, whilst also adding 2 German Football Manager of the Year accolades to his name. Rodgers, on the other hand, had only secured one significant achievement – the success in the Football League Championship play-offs during his time as the Swansea City boss. And though Manager of the Month awards don’t exactly mean a lot of significance, the Northern Irishman secured three of those in a span of three seasons during his time as the Reds’ head coach; 2 more than Klopp in almost the same period of time. Since neither the former Dortmund manager nor the current Celtic boss have won any titles to boast of at Anfield, comparison on the basis of silverware would not be sensible or, well, possible. However, comparison of their feats in the Premier League, regarded as the best and the most competitive league in Europe by many, can be done. Rodgers managed over 150 matches for his former side in the Premier League, but was never regarded as a consistent or competent manager by many, despite coming closer than his successor ever has to winning the title. However, the Irishman had a lot of time to create that one season where success was almost close enough to grab. But securing 75 wins and losing a relatively low 44 matches in all those years is something most ‘incompetent’ managers would not be able to do, especially with the considerably lower financial support from today’s era. In numbers, Rodgers’ time in England equated to an approximate 53.6% win ratio, with the highest ever finish in the league being runners-up to Man City back in 2014. Furthermore, he had spent an average of a meagre £8,800,000 per player before his departure. The current head coach has very similar statistics, but has ironically been regarded as an upgrade. The whole of Merseyside, bar the blue side of it, was filled with jubilation in welcome of their new tactician back in 2015, and is still heavily supported by the club faithful, which the Celtic manager hardly had the luxury of. Surprisingly, in 98 league games managed by the German, his side has managed to register a win rate of 53% till date, with the highest finish on the league table being fourth. Moreover, an average of approximately £15,800,200 has been spent per player. Clearly unfair on the 45-year-old if all major competitions are considered, where Klopp averages only 49.14% win ratio compared to the former’s 50.30%. Currently, it’s easy to see the sun is brighter in Scotland rather than Liverpool, as the former Reds boss has managed to win 2 Scottish League Cups, a Scottish Cup, and a Scottish Premiership title whilst also going a whole season unbeaten. Whereas his successor is yet to add a pot to his club’s almost dusty trophy case. Further, Klopp’s side are well out of the title race this season, whilst Celtic are leading the title race by a significant 8 points. Safe to say that Rodgers got the last laugh in this case, despite only wishing his former club the best for the future even after his sacking. 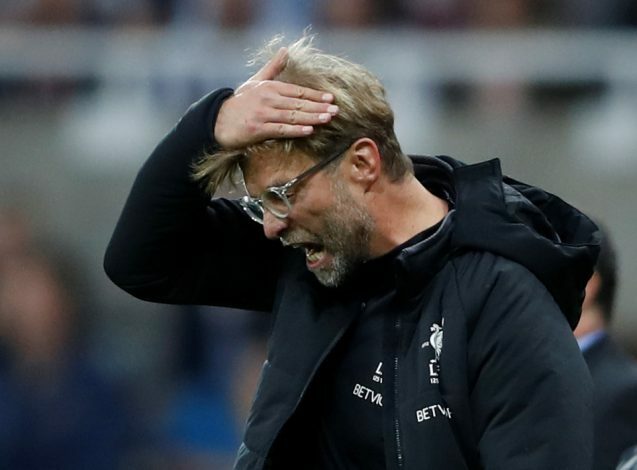 Ultimatum: Should Klopp be sacked? Despite lagging behind the former ‘incompetent’ manager, it would definitely be harsh to say the former Mainz 05 coach deservers to be sacked. The supportive manager has actually managed to make a few intelligent signings since his appointment, and has brought some of the most enjoyable brand of football to Anfield in a very long time. And that, coupled with the ambition the club has shown financially and in recent performances, it would almost be criminal to say the Red side of Merseyside isn’t heading in the right direction. However, the Anfield higher-ups decided to tie down their orchestrator to a long future with them in 2016 by handing him a 6-year deal. This will keep the ex-Dortmund coach at the Liverpool helm till 2022, which may well end up being an expensive mistake if no progress from the current situation is made.